Myopia — near-sightedness — is described in the text books as the condition in which the retina is beyond the principal focus of the eye, so that the refracted rays emanating from a distant object, come together before they reach the retina. It is explained that this may be caused by an increase in the convexity of the cornea (the membrane covering the front of the eye), or of the lens, or by the pushing forward of the lens in a diseased condition. Or it may be caused by the rear end of the eye being pushed back, either as a result of a diseased condition, or by what is called an overacting developmental process. It is explained that the lens of an infant is excessively curved, and gradually flattens, and that the eyeball naturally grows longer to match the lesser curvature in the lens. In other words, in order to focus nearby objects, either the lens must be round enough, or the eye must be longer. The text books explain that in an eye which is near-sighted, generally the fault is that the lens has a proper curvature, but the eye is absolutely too long. The text books state that this excess of length, in fact, accounts for all, or nearly all, of the refractive errors, so that from the refracted error found, the length of the eye may be computed. The text books also state that this length is a variable factor. It may be extreme, even in youth, and continue to increase; or it may show only a very moderate degree. In advanced myopia this excessive length may diminish or disappear, or it may increase. The books explain further that myopia occurs in school life, and among those who use their eyes on fine print or close work. On the other hand, it is not found in savages. Hence the inference is drawn that myopia is caused, essentially, by overstraining the eyes for near work. There are other facts of-red, however, in the text books, for which further explanations were considered necessary. For instance, it is pointed out that only a fraction of those who are subjected to the strains mentioned become near-sighted. Various possible factors or influences are discussed as the causes of a predisposition in that fraction so affected. Hereditary tendencies are assumed – of various kinds and different degrees. Some very interesting findings are recorded. Moderately near-sighted eyes, we are told, do not need glasses. In myopia of high degree, on the other hand, it is explained, satisfactory distant vision is not attained even by glasses. Also, in this class, even closeup vision is frequently defective. Further, those eyes with a high degree of myopia tire rapidly, are sensitive to light, and prone to see the specks called “flying flies”. Changes in tissue structure, and changes in the fluids of the eye, are found. In eyes with the higher degrees of myopia, changes in shape may be found-, then, again, they are not found. We are told, also, that an astigmatic, in trying to see, accommodates so that he can see objects clearly and, by so doing, often makes himself temporarily myopic; and by continuing such efforts he may make himself permanently myopic. But the books point out that in these cases, it is not possible to say that the myopia would not have developed anyhow, for the various suggested reasons. Besides the use of glasses, the books direct good light, always having objects as far removed as they can be seen, and strict limitation of the use of the eyes, even to the dropping of all studies, et cetera, for a long time, or a change of occupation. It is significant that resting the eyes frequently by looking at a distance, is pointed out as very advantageous treatment. It is frankly declared in the book that the work with which many students have to struggle should be reduced to the proper standard. The way they are taxed, both in school and at home, is detrimental, not only to their eyes, but certainly to the mental and physical development of unfolding powers. Suitable physical exercises should be made part of the curriculum, and should constitute an intermission between hours of mental application. Work should be done under favorable conditions. Proper ventilation is very important. Seats suitable to each individual child should be provided. Children should be taught correct posture. These precautions are to prevent the occurrence of any abnormal tension. It is stressed that illumination should be of sufficient intensity – generally in the past the light has not been sufficient. There should be no glare, and no contrasting shadows. The light should be diffused, as the sunlight is diffused; and it should not be directed into the face. The above suggestions are contained in text books on the eye. I have referred before to a book which directs the use of very poor light. It proposes to shut out the sunlight, and pictures a room with shadows on everything, and a dim light from semi-indirect illumination by poor lamps on the ceiling. “Truth is like the spokes in the hub of a wheel.”	There are many spokes. Who would think of building a wheel and leaving out one spoke? Crecy wrote that the fate of a battle might depend upon a cotter-pin (meaning that one wheel coming off a cannon carriage might turn the victory into defeat). Oliver Wendell Holmes reminded his hearers that when a discussion had been decided, it had happened that a member who then threw a fact into the ring like a bomb, changed the minds of the other members. Columbus believed, from known facts, that the world must be round, and on the way to India he found America. In the text books on the eye many specific facts are recorded with meticulous exactness. But one does not find that any scientific research has been made to enlist the power of the visual center in correcting an abnormal function on the part of this mechanism described as psychic. The doctor who called Dr. Bates a quack, because Dr. Bates had already enabled medical men to discard their spectacles after that doctor had fitted them, deliberately ignored the known fact that many have discarded their spectacles because they had discovered that their eyes had ceased to be near-sighted, and they could see better without the spectacles. Spectacles are being discarded today for the same reason. The text books record data which plainly implies that patients under observation could also discard their spectacles. But it does not seem to have occurred to these students of the eye to follow the path taken by research workers in the other fields of medical science, and investigate the cause and the significance of the phenomena which are strewn all along the pathway of their own field. Dr. Bates made his discoveries because he had a mind which could not help investigating those phenomena. It was not hard after that. Compared to some other fields it was very simple. The facts are spread out in plain view. All his work was right in the clinic – his problems, his discoveries, and his success. The prinicpal treatment for near-sightedness recommended in the text books is artificial lenses. Best there is no promise that the spectacles will correct the fault in vision which causes the near-sightedness. Sidler-Huguenin, a recognized international authority in this field, stated frankly that glasses are “of but little avail to prevent either the progress of the error of refraction (near-sightedness), or the development of the very serious complications with which it is often asso ciated.”	He wrote that of the thousands of myopes treated by him the majority grew progressively worse, despite his skill in fitting their glasses. He disagreed too, with some conventional suggestions. For instance, he believed that using the near-sighted eye was better than sparing it, and recommended that -it-be used. Artificial glasses, therefore, are never a remedy; they are only an expedient, and are, in fact, an assertion that there is no treatment which will cure, instead of increasing, the defective function of vision. The near-sighted eye, under the care of the best men who are fitting glasses, commonly becomes more and more near-sighted, and needs to have new, stronger glasses constantly. There is no apparent effort, or even consideration of any investigation looking toward the correction of the abnormal functioning of the mechanism that is involved. This sounds like an extreme statement, but the situation is obvious. All the preventive measures cited in the books have been in use, and at the same time the artificial lenses are rapidly increasing, and are still being given the first place as the relief suggestion. In Germany, they were tried for years in vain. They were used by Sidler-Huguenin for a life-time and pronounced of no avail. The men in this field claim that near- sightedness is caused, primarily and principally by inherited tendencies. They consider that the various unfavorable influences, such as faulty lighting, extreme or prolonged use of the eyes at near work or minute detail, improper postures, et cetera, are secondary influences; and the record seems to support such a contention. The implied verdict that myopia is incurable is untenable. Allowing for all the possible inherited tendencies, and the aggravating influences in the environment, such an attitude is still out of step with the march of progress in the science and art of the practice of medicine. Alone, the work of Madame Montessori is an answer which silences it. The German professor previously referred to, in his letter to me, claims that in what he calls a true case of near-sightedness, which he says is always inherited, the condition cannot be cured. But he also writes that so-called near-sightedness can disappear. He refers to a case with which he is familiar – a man who had been near-sighted until he was twenty. His condition varied considerably. He found his sight very much improved when he was at sea; but always quite poor when he was in Munich. When that specialist examined his eyes, at the age of thirty-three, he found him far-sighted instead of nearsighted. The Professor accounts for the history of those eyes by explaining that the near-sightedness had been caused by an accommodation muscle tension of increasing severity and exceptionally long duration. The far-sightedness which had displaced the near-sightedness, he would probably account for as a new and different muscle tension. The significance of his explanation is that it explains the myopia and the hyperopia in the same way as Dr. Bates does. The professor classifies the record of this case as a psychological disturbance. If any condition is due to an inherited tendency and an unfavorable environment, insanity is a specific example. It likewise was treated as a hopeless and incurable misfortune. It now is being cured, and the methods and the success in this work, are both increasing. Strange to say — or is it really strange? — the methods are actually very simple – just as simple as the method of Columbus. Like Newton’s discovery of the law of gravitation, the cause and the cure of myopia, likewise are to be revealed by a study of the apparent phenomena. In this field they are in plain sight, and their significance is clear. It is not necessary to discuss the complicated cases of myopia, in which there may be tissue changes, that probably were produced by continued abnormal function, and which might possibly be changed back to normal by proper treatment. Such tissue changes, cured by corrected function, are in evidence. Ulcer of the stomach is a specific and a common illustration – it comes and it disappears, spontaneously, and may be habitually recurrent. Cures of that condition have been reported by competent specialists who used, in one series of thirty cases, nothing but mental treatment. The majority of myopes have no tissue changes in their eyes. The degree of myopia varies considerably in most cases. Often the condition disappears spontaneously, in young and in old – after it has been present a few weeks, or after it has been present for many years. That has happened without the conscious knowl edge of the owner of the eyes. It is being relieved too, in young and old, sometimes very promptly, by influencing the subconscious mind to do deliberately, upon an order, what it often does spontaneously, or without any conscious order. It may be that too much is being written here, about the background and the psychology and the mechanism involved in this question of curing myopia. Often I have been asked, impatiently, “but what do you do?”	Some “first visit cures” have occurred with very little explanation or effort. The attitude of the mind of such patients is already set, or changes in a moment to a receptive attention, which is not hindered by the conscious or unconscious impression that nothing else but glasses can help their eyes. This book is intended as a teacher, and must meet in advance the questions that naturally arise under the conditions. I have tried to anticipate the difficulties that the patients may meet, by giving their minds assurance in the substance of things hoped for, the evidence of things not seen. Everyone is familiar with the mental experience of having held a belief, about a person or a subject, which seemed to be warranted by apparent facts, and discovering, sometimes, that the facts were misinformation, or that their judgment and conclusions were unwarranted. The prevalent conception about myopia is a hardened-in-cement mental attitude that the only answer is spectacles. The first step toward a cure must be to become conscious of that conception, reason it out, and then obliterate it, and forget it. Professor Herrmann of Breslau, reporting upon his observations of over ten thousand children in German schools, found in the village schools one per cent of myopia, twenty to forty per cent in the higher schools, thirty to thirty-five per cent in the gymnasia, and fifty-three to sixty-four per cent in the professional schools. Similar investigations in other countries confirm his findings. Only a few of these cases were obliged to wear glasses. The strain of near work was blamed for the conditions. The explanations offered are contradictory. Tscheming, a noted authority, wrote that: “A satisfactory explanation of the mechanism by which near work produces myopia, has not yet been given.”	Everbusch wrote: “It is not yet determined how near work changes the longitudinal structure of the eye.”	But it is established that myopia is found in those who never went through the stress of near work. Myopes are therefore divided into two classes, one caused by near work, and one not caused by it. But a comparative analysis of the statistics reveals that often the higher percentage of myopia is found under most favorable conditions. Also, the heredity factor is not sustained by some findings. For instance, the Indians at Carlisle are quite subject to myopia, although their heredity would not warrant that expectation. The constant near work of ancient needle women, and the marvelous gem carving of artisans who spent their lives at it in the early centuries, as their fathers had done, did not develop myopia, or pass it on as a heritage. If one will accept the explanation that myopia is caused by a tension in the visual center in the brain, that law can be taken as an interpretation of every situation found in the dis cussion. The savage can become tense, as well as the student. The child favored with every mechanical advantage, may still have a mental concern, conscious or unconscious. The myopia may appear in adult life because of a new situation. The increase, or decrease, or disappearance, or reappearance, or any variation, will also be explained by the condition in the control center. That is the answer of Dr. Bates. In the endeavor to cure myopia, the purpose is the same as with every other dysfunction. It is never an effort to teach the eye how to function correctly. That mechanism knows how to function, and no man knows how it is accomplished. The only purpose is to relax the abnormal tension in the visual center. This simple conception should be fully realized. I have often found that a patient is unconsciously oppressed with vague idea that it is necessary to teach the eye all over again, how to perform in the right way. When the visual center has been relaxed – relieved from the stress that is constraining it, the normal function returns to the mechanism, and sight is normal. Those who have success in a short time, are not inhibited by disturbing impressions that are founded on misinformation. 5o let us begin with the encouraging confidence that the eye knows what to do, and it will help very much toward abetterunderstanding of how the practices operate. It is helpful to remember that many have ceased to be near-sighted. This experience is so common that it cannot be questioned. Often this happens late in life, the patients finding that they have secured what is called second sight. Oliver Wendell Holmes wrote of such a man. Again, many women in later life are near-sighted for reading and other purposes, but can thread the eye of a fine needle without difficulty. In previous chapters I have reported some typical cases in which myopes have recovered good normal sight after being nearsighted for years. These cases are in evidence, and were secured by the method of Dr. Bates. In special chapters the details of practices are given. When relaxation is secured, whatever special technique is used, myopia is relieved just as other tension conditions are. There are some practices however, which are more suited to this particular variety of abnormal vision. The specific fault is a failure to adjust the focus to objects that are not near to the eye. Dr. Bates claimed that the myopes cannot see objects that are not nearby because the eye is straining to see them. When the eye stops straining, the light rays reflected from those objects are permitted to focus on the retina. It is helpful to remember, and to remind the eyes constantly, that when the rays of light are permitted to register properly, the difficulty disappears. 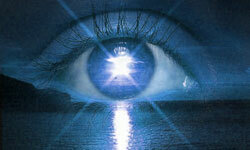 This means that the rays produce the impulse, and the normal eye acts automatically, outside of the consciousness. The process is essentially different from a voluntary muscular effort. The trouble is caused when the eye tries to see – instead of allowing the rays of light to enter the eye like the sound waves enter the ear, and the fragrance of a rose impresses the sense of smell. Therefore, the first idea to impress and retain, is that one must stop trying, and adopt an objective attitude of mind which _occupies the undivided attention with the practice one is carrying out. Such an attitude of mind engenders relaxation in the visual center and that is all the practice is intended to accomplish. When a myopic eye improves in vision, as it does to some degree constantly during the day, some measure of relaxation has been produced spontaneously. When the abnormal tension recurs, it hinders the eye again. When one ceases to be near-sighted, spontaneously or under treatment, the tension has been elimi nated. It is idle to ask, quizzically, how such a serious condition of eye-sight can be produced so easily, and cured in such a simple manner. The facts are in evidence, outside of any knowledge of the method of Dr. Hates. The explanation is in accord with other similar recorded reactions in other fields of psychologic research. The condition called hyperopia is essentially similar to myopia. The effect on the eyesight is just the opposite from the effect of myopia. It is called far-sightedness, because there is less difficulty in seeing objects at a distance than in seeing when they are nearby. But actually, sight is poorer at any distance than with the normal eye. Although the effects on eyesight are so different, the causes of the condition, as given in the text hooks. are the same as the causes given for myopia, and the dysfunction of vision is of the same nature. Hyperopia, commonly spoken of as far-sightedness, is described in the text books as a condition in which the retina lies in front of the principal focus. The ordinary hyperopia of young persons and adults is an axial hyperopia, due to the fact that the eye, which was primarily too short, has not, in the process of growth, elongated to the point of producing emmetropia (an eyeball of proper normal length). It is stated that a very large proportion of adults have a hyperopia of this sort, which may, therefore, be regarded as a normal condition. Other forms of hyperopia are described. For instance, when the eyeball is not too short, but there are changes in the curvature, density, or position of the lens. or in the curvature of the cornea, or there are abnormalities of development, or even conditions of tissue change. Different irregularities in the condition and the conduct of these eyes are described. In this chapter a case report has been quoted, from a German specialist who found a patient far-sighted at thirty-three, who gave a history of having been near-sighted until twenty. The degree of the near-sightedness was variable. At sea he was not near-sighted, but in town the near-sightedness returned. At thirty-three, examined in town, instead of being near-sighted, he was far-sighted – just the opposite condition. In other words, that young man’s eyes must have been longer, changed their shape back and forth, according to circumstances, and at thirty-three were found to have an entirely different shape. The German professor did not report any tissue changes in the eyes, he said that the conditions were caused by an extreme and long continued muscle tension, and the changing shapes were due to psychological disturbances. In the text books it is explained that so-called far-sighted persons do not necessarily see better at a distance than others, and may not see even as well. The difficulty is in seeing objects at a close range, and this sometimes is quite marked. If the four muscles which pass forward on the four sides of the eyeball, contract sufficiently and in unison the eyeball is made shorter in a horizontal direction, producing the condition described in text books as an axial hyperopia. Considering the case reported by the German specialist, and his explanation that the changing lengths of the patient’s eyes were caused by abnormal muscle tension, the situation can be interpreted by the explanation of Dr. Bates that the two muscles wrapped around the middle of the eye sometimes made the eyeball too long, and later the four muscles on the sides made, it too short. For that reason, the treatment for hyperopia would be the same as for myopia.